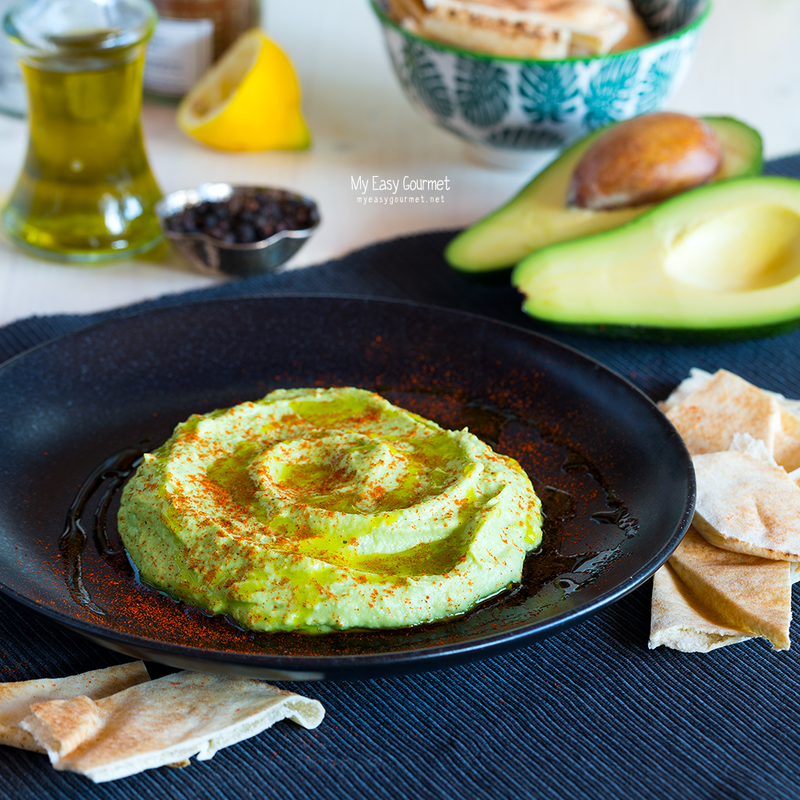 After mastering the classic hummus recipe, it’s time to experiment on this tasty dip with – what else? – some avocados! 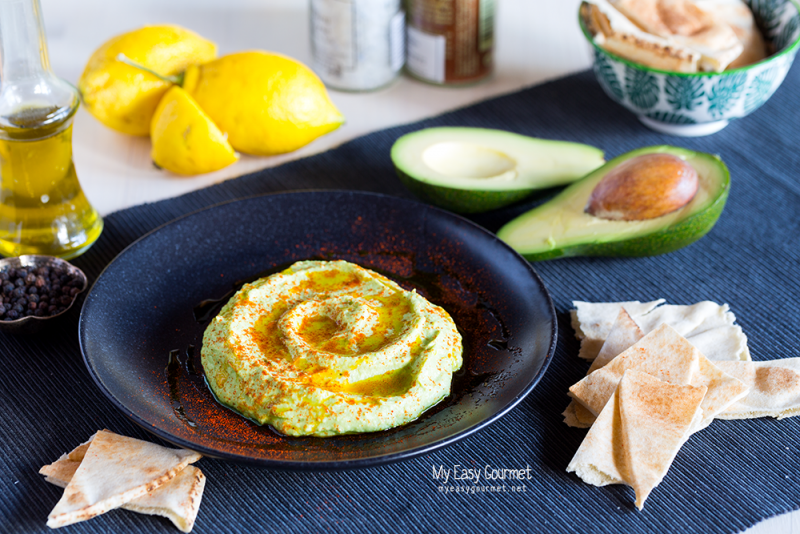 Avos give hummus a great smooth texture and the aromatic avocado flavour we’re all addicted to, so if you’re an avo lover you will definitely fall for this spread. 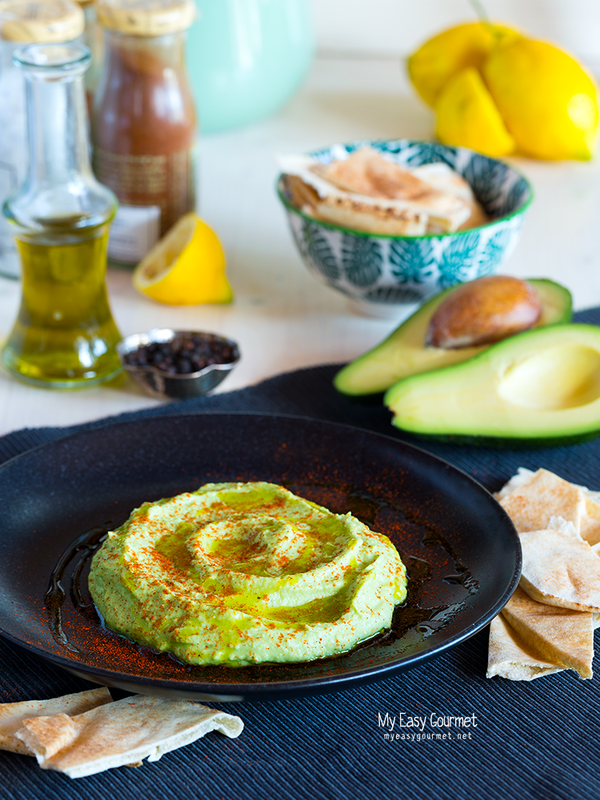 Grab those ripe avocados from the counter and skip your favourite guac for once. As already mentioned in the classic hummus recipe, the only challenging step is softening the chick peas – which of course you can avoid altogether by getting canned peas, but nothing beats fresh homemade ingredients so do give it a shot before opting for the easy way out. All you need to do is soak the beans in water in a big bowl overnight for at least 8 hours, drain them well, place them in a medium sized pot and cover in water, then bring to boil, lower the heat to medium-low, extract the foam from the top occasionally and add some more water if needed until the chick peas are soft and ready to get -s-mashed! Purée the chick peas in a food processor. Add the tahini and olive oil and pulse. Add the lemon juice, garlic and spices and mix well. 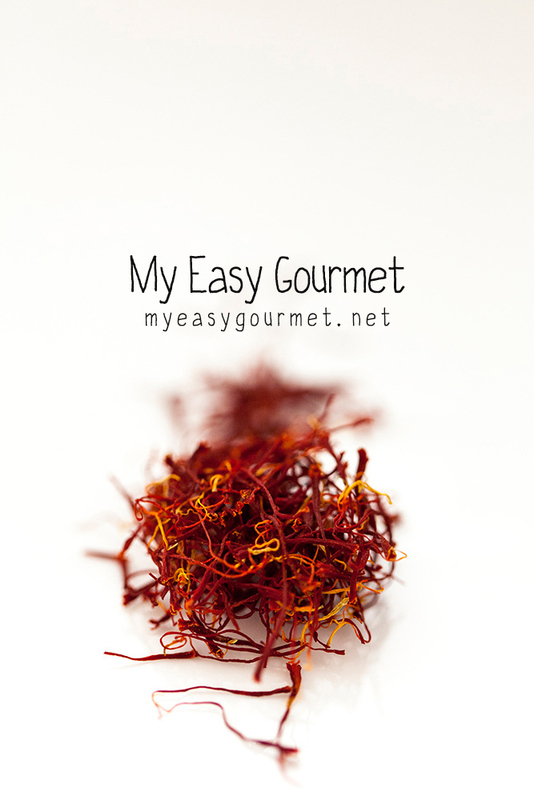 Taste and add some more olive oil or lemon juice to taste.